The public has every right to see Robert Mueller’s conclusions. Absolutely nothing in the law or the regulations prevents the report from becoming public. Indeed, the relevant sources of law give Attorney-General William Barr all the latitude in the world to make it public. The regulations anticipated there would be differences among these three. Generally speaking, the final report the special counsel gives to the attorney-general would be “confidential”, and the report the attorney-general gives to Congress would be “brief.” We wanted to avoid another [Kenneth] Starr report — a lurid document going unnecessarily into detail about someone’s intimate conduct and the like. A subject of such a report would have no mechanism to rebut those allegations or get his or her privacy back. But the mentions of “brief” and “confidential” in the regulations and accompanying commentary were just general guidelines for each type of report. The text of the regulations never required the attorney-general’s report to Congress to be short or non-public. Rather, that text expressly included a key provision saying the “Attorney-General may determine that public release of these reports would be in the public interest,” even if the public release may deviate from ordinary Justice Department protocols. The regulations at their core are about a central problem that can be traced back to the Roman poet and satirist Juvenal many centuries ago: Quis custodiet ipsos custodes (Who will guard the guards?) Whenever there are allegations of high level executive branch wrongdoing, there is a justifiable worry that the executive branch itself cannot adequately investigate it. The Justice Department, after all, is an executive branch agency, and it has the power to squelch any investigation. The special counsel regulations were written to allow someone outside the Justice Department to run the investigation on a day-to-day basis, while making that someone always subject ultimately to the control of the attorney-general. One might ask why the regulations would give the attorney-general such control. The answer is simple: the Constitution requires it. In our system of government, the president is vested with full power over prosecutions, and the attorney-general is the official who exercises that executive authority. There is no way to create a headless prosecutor in some other branch of government — which is why the regulations endeavour not to cut the attorney-general out of prosecutions (which would be unconstitutional), but rather to shed sunlight and transparency on the choices an attorney-general makes. The most important thing to understand about the regulations is that they were written to function like a constitution. This isn’t meant to be grandiose; it is simply to say that they were written to provide a broad blueprint for dealing with crises that could not be anticipated at the time of their drafting. The idea was not to create a comprehensive set of dos and don’ts, like a tax code. Instead, it was to mark the great outlines of the special counsel’s power and responsibilities. For that reason, the regulations do not, in all cases, compel public release of a special counsel report, but they do not forbid it either. The regulations were written to govern not just investigations of presidents in a variety of circumstances, but also of other, lower ranking government officials — and it would be inappropriate to have a one-size-fits-all solution to the vast array of officials and crimes that would require investigation in the many years to come. That is why the canard that some Trump allies are floating, that a public release of the report would violate the special counsel regulations, is false. The regulations set a floor, not a ceiling, on the amount of transparency. They require transparency and an “explanation of each action” at the end of the special counsel investigation, but they don’t forbid more transparency on top of that. Fears of a government cover-up are at their apogee when we are talking about a criminal investigation of the president. Article II of our [US] Constitution gives only the president the prosecution power — he alone can stop any prosecution or investigation he wishes. So any investigation into presidential wrongdoing by definition runs headlong into the who-guards-the-guards problem. And in those circumstances, more disclosure (with redactions for classified and deeply private information) is necessary, both to deal with that problem and to maintain public confidence in the rule of law. The need for public disclosure is even greater here because President Donald Trump’s lawyers have repeatedly invoked the idea that a sitting president cannot be indicted. Every scholar who takes that view couples it to impeachment — explaining that Congress must perform its duty of impeachment so that a lawbreaking president can be removed from office and then brought to justice. Otherwise the president would be above the law. And there is no way impeachment can work efficiently if Congress is not given all of the facts the special counsel has uncovered. That is why in 1974, special prosecutor Leon Jaworski gave Congress his investigative material, including even grand jury materials. Balancing the public’s need to know against individual privacy and dignity interests is struck in a variety of ways in ordinary law enforcement investigations. Sometimes, like in the aftermath of the Ferguson, Missouri, tragedy, an extensive public report is appropriate. Other times, it isn’t. Here, we are talking about credible concerns of wrongdoing by our nation’s most powerful man, and one who has not been shy about attacking the investigation itself. The idea that the special counsel regulations, which were written to provide the public with confidence against a cover-up, would empower an attorney-general to restrict disclosure in an investigation of the president is a non-starter. To be sure, there is no one provision in the regulations that expressly requires a public release of Mueller’s report. But there is no one provision requiring presidential candidates to release their tax returns either, and we all know how that one turned out. The system is built on judgement and good faith. The public must have confidence that justice was done, and the attorney-general cannot treat an investigation of the president the way he can treat any other investigation, precisely because of the sweeping prosecution powers the president wields. This isn’t just my view. It’s also the view of some of the most conservative members of Congress, including Representatives Liz Cheney, Republican from Wyoming, Steve Scalise, Republican from Louisiana, Jim Jordan, Republican from Ohio, and Mark Meadows, Republican from North Carolina. By a 420-0 vote, the House in mid-March called for the public release of the Mueller report. 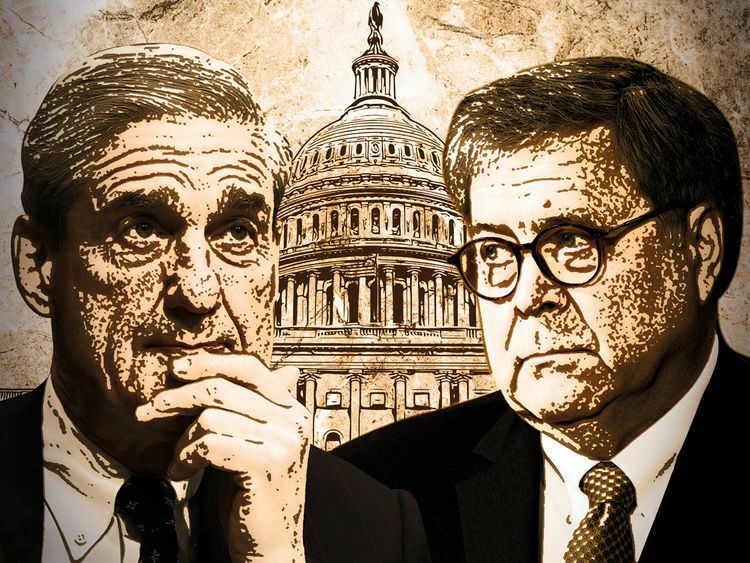 Should Barr not provide the report to Congress, Congress will have to subpoena it, and Congress will almost certainly win that battle. The attorney-general should follow Congress’ vote and honour the values at the core of our democracy, and release the report. Neal Kumar Katyal is the Saunders Professor of Law at Georgetown University Law Centre. He was acting solicitor-general of the United States from 2010 to 2011.